At the end of 2015, updates and clarifications were made to existing Ontario bankruptcy laws that directly affect indebted consumers. 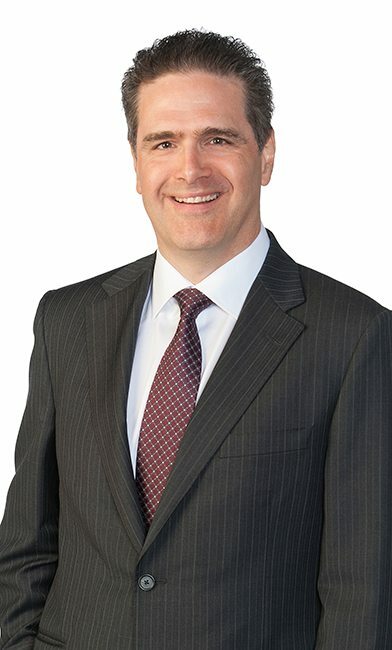 On November 13, 2015 the Supreme Court of Canada put forth a ruling about the 407 ETR (a toll route in the Toronto area) concerning the treatment of 407 debts in a bankruptcy or consumer proposal. Another big change came on December 1, 2015, as the Execution Act in Ontario was updated. I’m joined once again by licensed insolvency trustee, and co-founder of Hoyes Michalos, Ted Michalos, to discuss how the changes, as well as the Supreme Court’s ruling, will affect Ontarians looking to deal with their debts. Disclaimer: Our discussion about updates to the Execution Act are the interpretation of ourselves and the lawyers we’ve spoken with about the new rules. This is new legislation that has not yet been tested in court, and as such, a judge could rule differently than we’ve interpreted the information on today’s show. What Is The Execution Act? if there was no Execution Act, if there were no protections and that piece of paper from the court would let you basically go to somebody’s house and clean it out. Changes to the Act include areas like motor vehicles, clothing, household furnishings and appliances, and protection of home equity in a bankruptcy. Where certain protections existed before December 1, 2015, “necessary and ordinary apparel” as an example, it has become unclear whether specific items fall under new “necessary clothing” category, such as a wedding band. Keep in mind that in a bankruptcy or consumer proposal it is unlikely that something like a wedding band, that generally has little financial value and holds significant sentimental value would ever be seized. On November 13, 2015, the Supreme Court of Canada ruled that 407 ETR debts can be discharged in a bankruptcy. You may be wondering why these debts, that are similar to others including credit card debts, income tax debts, or personal loan debts, could not be included in a bankruptcy to begin with. The answer is, they have always been dischargeable in a bankruptcy, but until now, the privately own company put pressure on debtors to pay up, even after filing. the 407 has always taken the opinion that, well sure, the debt may be dischargeable, but using our road is a privilege and we’ve got the right to deny that privilege to you if you don’t pay it. And that fundamentally thwarts the protection of the Bankruptcy Act. If you’re a current client or if you’re considering debt relief options and have questions about any of the information in today’s show, we recommend contacting a Licensed Insolvency Trustee to discuss how these Ontario Bankruptcy changes might affect you. Or you can read the transcript for episode 78 below. Letter to the Attorney General and response from Ms. Meilleur. Doug Hoyes: Over the last three months there were many significant changes to the law in Ontario. And so, today we’re going to discuss both of them. To help me through it I’ve got my partner and Hoyes Michalos co-founder Ted Michalos here. Ted, how are you doing today? Ted Michalos: Fine, Doug, thanks for having me. Doug Hoyes: So, issue number one. On December 1st there were changes made to the Execution Act of Ontario. Why should anyone care? What’s the Execution Act? What’s it all about? What’s the story there? Ted Michalos: Well, so the most important thing about the Execution Act is that it sets limits or rather protections for individuals when they’ve been either sued, or I guess when they file bankruptcy it’s the same sort of thing. So, the Execution Act says these are the things that cannot be taken away from you the basic minimum, I guess needs for living if you want to take it that way, that every person’s entitled to keep regardless of who they owe money to or what they owe money for. Doug Hoyes: So, we’re not just talking about bankruptcy. We are talking about someone who isn’t bankrupt may still fall under the purview of the Execution Act if they were to get sued for example. Ted Michalos: Yeah, like the most common application of the Execution Act is somebody owes another person a debt, they are sued. So, the person doing the suing receives a judgment against the individual that they sued. The court then issues a Writ of Seizure or Writ of Execution. And that allows the person that did the suing to try and freeze a bank account, or clean a bank account out, seize somebody’s car I suppose. I mean if there were no, if there was no Execution Act, if there were no protections, then that piece of paper from the court would let you basically go to somebody’s house and clean it out. Doug Hoyes: So, Joe owes me money, I take him to court, I get a judgment against him, which is just a piece of paper signed by the judge that says Joe owes me $10,000 and I see that Joe has $1,000 car in his driveway an old beater, if there was no Execution Act then theoretically I could just go take it. Doug Hoyes: Okay, so the execution act if it’s $1,000 car I’m not going to be able to take it. If it’s a million dollar, I don’t know, brand new Tesla or something if there is such a thing as a million dollar car, then I assume I’m not able to take it. So, obviously the Execution Act sets limits. Ted Michalos: Exactly. It provides people with protection under the law. Doug Hoyes: So, let’s talk about changes then. So, let’s start with the example you just gave a car or a motor vehicle as they call it. So, first of all the act says motor vehicle, which is more than just a car I guess. Ted Michalos: Yeah, it could be a car, it could be a truck, it could be a motorcycle. It can’t be something like a trailer, it can’t be something like, well actually no, I don’t believe it can be something like a jet ski. I think it’s got to be a motor vehicle for the purposes of transportation on public highways. Doug Hoyes: So, a motor vehicle obviously has to have a motor, that’s why a trailer doesn’t count. Ted Michalos: Right, or a bicycle for that matter. Doug Hoyes: Doesn’t have a motor. So, if I have a truck with a trailer, well the trailer doesn’t fall under this because it doesn’t have a motor. So, under the old rules the exemption limit was $5,650, what’s the new limit? Doug Hoyes: Okay, so what does that mean? Ted Michalos: So, it means that an individual is entitled to keep a motor vehicle worth up to $6,600. Now, that’s actually a bit of a misdirection, too. They’re allowed to have value in the vehicle up to $6,600. And I’ll tell you what the distinction is. So, if I’ve got a $2,500 beater, that’s worth less than $6,600. Obviously I get to keep it; it’s protected under the law. Let’s say I’ve got a $20,000 car and I’ve got a loan outstanding against it. So, if the loan is for $15,000, effectively I’ve got $5,00 worth of value in that car. Well, $5,000 is still less than the $6,600 so I get to keep it. It’s protected under the law. Doug Hoyes: So, the loan is an important distinction, then. So, it’s not the value of the car that matters, it’s the equity in the car that matters. Ted Michalos: That’s right, it’s the amount of your ownership interest – how much of that car do you actually own? Doug Hoyes: Which means if I sold the car, how much would I actually get? So, if I have a $15,000 car with a $10,000 bank loan, I could sell the car but I’d first have to pay off the $10,000 bank loan. I’d end up with $5,000, therefore, it’s exempt. Ted Michalos: That’s right. Now the law’s a little funny. It says that the car could be seized, so a creditor could come along and take the car. But then they’re required to first pay out any other registered liens, so the loan would get paid first and then the up to $6,600 would be paid to the fellow that had the car. And so, why would a creditor go and take a car that had less than $6,600 worth of value in it? ‘Cause they’d get nothing for doing all that work. Doug Hoyes: Which is why in real life we very rarely – we never see that. That’s not something that happens. Ted Michalos: That’s right, particularly in bankruptcies now, cars are almost never seized from people because they’re either driving something lower than $6,600 value or they’ve got a loan outstanding on it and they want to keep the car, so they keep making their loan payments. Doug Hoyes: Yeah, it would be very unusual for someone with a brand new $30,000 car to be going bankrupt because if they had $30,000 to buy the car then presumably they wouldn’t be in that same financial situation. So, okay so, someone goes bankrupt then, how do you know what the car’s worth? Ted Michalos: Well, so we start by the individual’s got to tell us what it’s worth. And so they’ll get probably something called a fair market letter. A used car dealer or someone will tell them what they think they would give them to take that car off their hands. We’ll then cross check that to things like the Black Book, which tells you the wholesale value of a car to see if it’s reasonable. At the end of the day the only way you really know what something is worth is by actually selling it. But frankly, if there’s any doubt, it’s – the bias goes toward the individual who has the car. ‘Cause if a trustee ever seizes and sells something we always get less than what they think it’s worth because it’s a trustee selling it and people are looking to get a deal. Doug Hoyes: Yeah and we’re selling it at an auction or something like that, we’re not getting full value. And in most cases there’s not a whole lot of judgment involved. If you’re driving a 20 year old car with 200,000 clicks on it, it’s unlikely that it’s worth more than a couple of grand. And so, it’s only if it’s right around the limit that it would matter. Ted Michalos: There is one way that people get caught. This exemption allies to a single vehicle. So, somebody that’s got two vehicles registered in their name maybe I’ve got a pickup truck that’s worth $2,500 and I’ve got a motorcycle that’s worth $1,500 I can only apply the exemption to one vehicle. So, I apply it to the pickup truck, the motorcycle is still at risk because that’s a second vehicle. Doug Hoyes: So, one motor vehicle is what applies. So, I could have two old cars worth $2,000 each, only one of them is exempt under this legislation. Ted Michalos: Yep. Doug Hoyes: Okay. So, if anyone’s listening and they have a car, then the thought process is what’s it worth? So, check the Black Book, get an appraisal, ask the car dealer what they’d give you for it if they returned it. If it’s worth less than $6,600 there’s no issue. If there’s a loan against it, well what’s the payout on the loan, you deduct that from what the value of the vehicle is if that’s less than $6,600 in a bankruptcy we’re not going to take it. Ted Michalos: Right. It’s almost always less than zero when you do the math you were just talking about. Doug Hoyes: Yeah. I can’t remember too many cases where someone has a loan or a lease agreement that leaves a whole lot of equity at the end. Okay, so that’s cars now there’s other things mentioned in the Execution Act. One of them that I find interesting is clothing. So, under the rules as they existed before December 1st, 2015, ‘necessary and ordinary apparel” was exempt up to $5,650. Under the new rules there’s no limit. But the rules say necessary clothing. So, what’s the difference, tell me about that. Ted Michalos: Well, the problem we’re having with this is necessary clothing hasn’t been defined anywhere. So, under the old regimen, we assumed things like jewelry, athletic equipment, things that you could put on your person, could be broadly spoken and included in that exemption. Now, saying necessary clothing I don’t think you could justifiably say somebody’s jeweler is somebody’s clothing. I don’t think you could say that somebody’s hockey equipment is necessary clothing. Doug Hoyes: Yeah the word is clothing. So, what is clothing? Well, I guess we’d have to get the lawyers involved to figure it out. And the reason we don’t know the answer to this is because it’s never gone to court to be figured out. Ted Michalos: It’s just too new a law. I mean the change was made December 1st, 2015. Doug Hoyes: Well, and even the word clothing, which existed in the – well, I guess the word was apparel before. But even though that word has existed, it’s unlikely that anyone is going to have enough clothing that it’s worth if for some creditor to go to court and spend a bunch of money on lawyers to figure this out. Doug Hoyes: So, our interpretation of the rules, and again I want to stress that, this is our interpretation, it’s a new rule, like you said, and it has not been tested in court. So, someone could go to court and the judge could say something different than what we think. But our interpretation of it is if it’s clothing and if it’s necessary clothing, well then you don’t have to worry about it. It doesn’t matter how much it’s worth. Doug Hoyes: If it’s apparel then, too bad, you’re out of luck. So, that’s something you’re going to definitely want to discuss with us now. I don’t think your old hockey equipment is something we’re going to ever take anyways. Ted Michalos: It seems unlikely. Doug Hoyes: Because we don’t want it. But it is an issue that needs to be raised. Now I guess the logical question then would have to do with jewelry, then. So, is there a place where jewelry comes under the Execution Act? Ted Michalos: Yeah. I’m of the opinion that it isn’t protected anymore. At one point there was a general exemption for personal possessions. That’s been out of the law for quite a long time. But people have still been using the concept. So, you could simply say these are my personal items that I want to protect. And things like a wedding band would fall under that. I don’t think there’s any place in the Act now where a wedding band would fall. Ted Michalos: She doesn’t know either. Doug Hoyes: You can go to our website at hoyes.com and do a search for that letter. I’ve posted it up there. Essentially what she said is, well, this is something that is handled through the courts and I can’t advise on any specific situation. So, again it’s very unusual for someone to come in to see us who has a million dollars worth of jewelry. And even your wedding ring, which obviously has great sentimental value and which you paid full retail for, in a liquidation scenario it’s worth a lot less anyways. Ted Michalos: It’s no worth much to anybody except for you and your spouse. Doug Hoyes: Yeah and I mean you sell it to a jeweler and they’re melting it down and it’s worth whatever the gold content is. So, our advice then is when you come into see us well tell us what you’ve got. We’re going to ask you that anyways, what jewelry do you have? And in most cases it’s not going to be a significant enough number to worry about. Ted Michalos: Yeah, the goal of this part of the conversation isn’t to scare people. I don’t want you to start thinking we’re going to start cleaning out your jewelry boxes. It’s just to make you aware that the law was changed, and unfortunately, the changes weren’t drafted very well. There’s a lot of ambiguity in this new law and we’re going to talk about some more of them right now, I’m sure. Doug Hoyes: Well, okay so let’s hit really quickly two other ones. There used to be household furniture, utensils, equipment, food and fuel – which is exempt up to $11,300. That limits been up to $13,150 but now it includes household furnishings and appliances. I guess that’s really not a whole lot different than what the first rule was. Ted Michalos: Yeah, my concern is that, well, so again things like your children’s toys, is that an appliance of furnishings? The sports equipment, if it didn’t fall under clothing so maybe you’ve got a mountain bike or something that you use for keeping yourself fit, I don’t think that’s furnishing or an appliance. It’s just I’m not sure where things like that fall. Now, somebody could be saying well, if you’re falling on hard times or you’ve got a debt and somebody sued you maybe they should have the right to take those things. I’m not sure I agree with that. If you take away an individual’s minimum requirements to live, and we’ll argue over what that is, it’s less likely that they’re going to comply with the law and I don’t know, that’s not the kind of caring society that we all think we live in. Doug Hoyes: Yeah. Who are you serving by doing that? And I think again, the law says what it say but in real life when I look at your used hockey equipment, I’m saying to myself, you know what? It’s not worth it, it’s certainly not with it for me to take it. So, our advice is be upfront with us but let’s work out a way to make this all work out. So, tell me about tools of the trade, then, what does that mean? What’s the deal there? Ted Michalos: So, tools of the trade are things, assets, stuff that you own that you actively use to generate income. So, I’ll give you a great example. Let’s say I’m a courier. I pick up and deliver packages for people. Well, a tool that’s right for me would be my car, probably my cell phone, my computer. Now let’s say instead of being a courier, I work down at the auto parts plant, I make widgets. I use my car to go back and forth to work. If I don’t have my car I can’t get to work but it’s not a tool of the trade. I don’t use it at work, I use it to get to work and that’s a pretty big distinction. 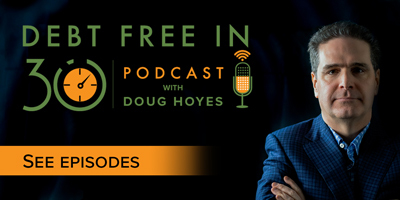 Doug Hoyes: So, a tool of the trade is something you are using to earn an income while you’re earning that income. Doug Hoyes: So, if I’m an Uber driver. Ted Michalos: Well, if you’re an Uber driver I’d argue that your cell phone, your computer and your car presumably could be a tool of the trade. Doug Hoyes: Now presumably I’ve got the exemption of the car anyway so it may not be an issue. Ted Michalos: So, you’ll notice this is a higher exemption so you might want to use this. Doug Hoyes: Yeah, so it would depend I guess if I’ve got a $10,000 car. And again, we are merely speculating here. There has never been to my knowledge a court case in Ontario under the new rules with an Uber driver’s car. It has never happened and it will be a year or two or three before something like that could even appear in court. So, our job is to – we’ve done a lot of research on this, we’ve spoken to many lawyers and revised our opinions as we learned more and talked to more people. This is what we think. Right now we’re in February of 2016 as we record this, this is what we think the law is today but we want you to come in and talk to us about your specific situations so we can give you the most up to date guidance. Now there was one more change in the rules that was probably the biggest change so we’re kind of burying the lead here talking about it last, but that is the principle residence. And I don’t want to call it the principle residence exemption ’cause I don’t think that’s the right way to say it. But in Alberta for example, they have what’s called a homestead exemption. And so, if you go bankrupt or have any of these other legal situations that we talked about, your homestead, which would be your house and some land associated with it is exempt up to I believe it’s $40,000 but don’t quote me on that number. Doug Hoyes: In Ontario, we’ve never had anything like that. So, if you went bankrupt and you had a house that had $1 of equity, well you had to give us the dollar or give us the house, that was the rule. Don’t think we ever took a dollar from someone for their house, but legally that’s what the rule said. Now, what do the new rules say? Ted Michalos: So, the new rules say that a creditor cannot seize or force a sale or property that has $10,000 or less of equity in it. So, when the law was first announced in December, people read that and said great there’s a $10,000 exemption protected in Ontario now. That’s not the case, at least that’s not the way we see it or the lawyers that we’ve talked to. What it says is if you have $10,000 or less of equity in your house than a creditor, or a bankruptcy trustee, can’t force you to sell the house. So, they can’t go after that less than $10,00 in equity. If you have $10,000 or $10,001 of equity then the creditor can force the sale of a house, or the trustee has to deal with it if you file bankruptcy. Doug Hoyes: So, why did they do it that way? And I know I’m asking you to explain the government, so this is going to be impossible for you to do. Ted Michalos: I’ll try to keep it polite. Doug Hoyes: But I’ll ask anyway. So, you’re describing two different methodologies here. If I own a car, a motor vehicle, you said that if it’s worth a little more than $6,600 I get to keep the first $6,600. But in the case of a house, if it’s worth $1 more than $10,000 I don’t get to keep the first $10,000, the whole thing is at risk. So, what’s the deal there? Ted Michalos: Yeah, I don’t quite get why the government worded it this way. Obviously, it was done deliberately; they could have simply copied the homesteader law from Alberta or some other places across the country. They only thing I can consider is that they wanted to either protect very low income Canadians who got into a home that’s not worth a lot of money or new home buyers. So, they haven’t built up any equity in their house yet. Because it took them a lot of effort and time to get that down payment to buy the house, if it was immediately taken from him then who knows how long it would take them to do it again. Those are the only two explanations that I could come up with. I don’t like either of them. Doug Hoyes: Yeah and it could also be that they didn’t think it through completely. Ted Michalos: Well, that’s the real answer. Doug Hoyes: Yeah. I mean it would sound like yes it is protection for the person who is just starting out, who has very little equity. Do we really want to be having a creditor faced with somebody who has a couple of thousand bucks worth of equity in their house going to court, going through the whole foreclosure proceedings, kicking them out, you know, for a couple of grand, really? It almost doesn’t make any sense. Now, in the past, if someone came into see us and they had equity in their house, our natural thought would be, okay, you don’t want to go bankrupt ’cause that puts it at risk, we would suggest file a proposal. File a consumer proposal. And in a consumer proposal your assets are protected, you don’t lose them. Now obviously you’re making payments in the proposal sufficient that the creditor’s agree to it. So, with this new rule does that change the world of proposals at all? Ted Michalos: I don’t think it’s changed much of anything. For the folks that had less than $10,000 worth of equity in their home probably wouldn’t be using their house as the only reason they’re filing a proposal. So, just briefly folks the concept behind a proposal is you offer to repay a portion of your debt. There are two caveats: it has to be more than your creditors would be entitled to in a bankruptcy and it’s got to be enough that the creditors will agree to the offer. Well, so in a bankruptcy if you had less than $10,000 of equity in the house it’s questionable whether or not the trustee would force the sale of the house. They might have you simply pay that equity over three or four years. Well, so, that hasn’t changed the calculation that we’re going through now to determine how much a proposal would be worth. Doug Hoyes: Yeah and you’re right. A proposal as an alternative to bankruptcy. In a bankruptcy I am going to lose a portion of my income if it’s over the limit. I’m going to lose assets that aren’t on this list of being exempt. So, most people who would have a house with 20 or $30,000 in equity probably earn more than the minimum threshold set by the government. So, they are going the proposal route because of both their assets and their surplus income. So, do you find it changes the math a tiny little bit, a huge amount, not really much? Ted Michalos: There’s a very small segment of the people that we see that this has had an impact on. The folks – so the equity in their house is $9,500. So, now in the bankruptcy that’s not something we can go after, so conceivably it reduces the amount they’d have to offer in a proposal. There aren’t that many people that fall into that category. You either have equity in your house or you don’t. Unless you’ve only just bought it so again now we’re back to the example of somebody’s only had it for a year or two. Doug Hoyes: Well, in a lot of cases it’s the creditors, the people you owe money to, who are driving what you’ve got to pay in a proposal. So, I might have $5,000 in equity in my house and I might have 5 or $10,000 worth of potential surplus income, but I may not be able to offer a $15,000 proposal that particular bank who we’re dealing with who shall remain nameless, ’cause we don’t want to pick on any particular banks, they might say no, no our minimum in your case would be $20,000 or $25,000. Doug Hoyes: So, again, as we wrap up this segment, the message is there’s a whole bunch of new rules, it’s a bit of a moving target, come in and see us, we’ll walk you through in your specific situation. Don’t try to read this on the internet and figure out how it will apply to you. I don’t believe in doing heart surgery over the internet either. Come in and see us, it won’t cost you anything. We’ll walk you through it. Great, thanks for being with me Ted, we’re going to take a quick break and be back with the next segment, you’re listening to Debt Free in 30. It’s time for the Let’s Get Started segment here on Debt Free in 30. I’m Doug Hoyes and I’m joined by Ted Michalos and we are talking about new Ontario legislation. What we’re going to talk about now isn’t specifically legislation but it is a Supreme Court of Canada ruling that was released on November the 13th of 2015, so a few months ago. And we are now finally understanding the implications of it. It is the case of 407 ETR highway, which I’m sure everyone is familiar with in our listening area. It is the toll road in the Toronto area. It’s a privately owned company. It was built by the government, but was sold to private interest. And you have to have a transponder, you have to pay a certain amount per kilometer that you drive on it. If you do not pay your toll fee, the ETR has the ability to go to the Ministry of Transportation and say hey, don’t renew the guy’s license, his license for his car vehicle, his vehicle license. So, it doesn’t affect your driver’s license, but you can’t renew the plates on a car if that car, via you, owes a bunch of money in tolls. And obviously that was a rule that was put in there to protect the owners of the highway ’cause otherwise, hey if there’s no consequences for me never paying, I’m never going to pay. So, we understand why it was there. So, Ted, tell me over the last few years what you’ve seen happening with people who end up coming to see you and they need to go bankrupt or do a proposal and they’ve got 407 debt. Ted Michalos: Now this is a good example of some of the things that are wrong with our legal system. It’s generally been held for a number of years that a 407 debt, the toll for using the road, is a debt that’s dischargeable in bankruptcy. It means it’s no different from a credit card, a payday loan debt, an income tax debt. You owe money and you’re getting relief from the Bankruptcy Act so you don’t have to pay it. The 407 has always taken the opinion that, well sure, the debt may be dischargeable, but using our road is a privilege and we’ve got the right to deny that privilege to you if don’t pay it. And that fundamentally thwarts the protections of the Bankruptcy Act. The Bankruptcy Act says look if you’re dealing with your debts through the bankruptcy act you’re using the legal rights that you have as a Canadian to deal with this debt then people can’t do something else to force you pay theirs. And the 407 was saying no, you want to renew your plates, you’ve got to pay this debt, even though it’s going to be dealt with in the bankruptcy. Doug Hoyes: And the whole point of bankruptcy, obviously, is to eliminate your debts. That’s the whole reason you’re doing it. And the government has thought of specific exceptions to that. If you owe child support you still have to pay it. Bankruptcy is not going to get you out of that. And there are some other exceptions to that as well. But there is no exception that says the 407 is special. And so it is always been our opinion that, no, that’s a debt that goes away. And going away means you can’t also be denying their plates at the same time. Ted Michalos: Well and they lost the challenges in the lower courts. But again, what I was alluding to earlier, one of the flaws of our legal system, they simply appealed it to the higher court and as long as the matter was before the courts, the continued to follow their flawed policy. I believe they knew they were wrong all along. But because the court hadn’t issued a final verdict on it they just kept doing the wrong thing and getting away with it. Doug Hoyes: Yeah, I agree. I think this was a slam dunk right from the beginning. But you keep appealing, you keep appealing. And so what has happened is over the last, I don’t know, four or five years that this has been before the lower courts, there have been lots of people who have gone bankrupt who have owed 407 money, you’ve dealt with lots of them. Ted Michalos: Then if you wanted to renew the plates, you pretty much had to pay the bill. Ted Michalos: Legally they shouldn’t have. Doug Hoyes: In hindsight yes, but practically they had no choice. So, on Friday November 13th, because Friday the 13th is always a good day. The Supreme Court finally issued their ruling on this and they said no 407, that duck ain’t going to fly, it’s a debt, it goes away in the bankruptcy just like every other debt. So, what does that mean for people that went bankrupt last year and ended up paying the 407? Ted Michalos: At this point, I don’t think they’ve actually set out a regiment for how to deal with that yet. We’re talking about millions of dollars, thousands of people. Doug Hoyes: Yeah, it would appear that they’re basically out luck, sorry guys. The money has been paid and we know it took five years through the court system just to get this particular piece of the law changed, how are you going to get that money back? Well, my advice would be don’t be holding your breath on it. Now, if you are currently bankrupt then what’s the 407 doing now? Ted Michalos: So, the 407 has said that they will take your name off the denying license renewal list when you’re discharged from the bankruptcy, is that right? Doug Hoyes: That’s correct. So, that’s very interesting. Ted Michalos: That’s still wrong. Doug Hoyes: That’s still wrong. So, if you owe money to a credit card and you go bankrupt, the credit card company immediately is required to stop phoning you, stop any legal action. It’s stopped. Ted Michalos: Stop charging interest. Doug Hoyes: Stop charging interest. Ted Michalos: The debt is frozen, it’s done. Doug Hoyes: It’s done, the 407 obviously not so much. So, again our advice with the 407 is come in and talk to us we’ll explain how it works, but as of this point in time, if you file a bankruptcy or a consumer proposal, the debt will be dealt with in that procedure. That was the Let’s Get Started segment right here on Debt Free in 30. Doug Hoyes: Welcome back, it’s time for the 30 second recap of what we discussed today. On today’s show Ted Michalos and I discussed the changes to the Ontario Execution Act that prevents creditors or a bankruptcy trustee from seizing certain assets. That’s the 30 second recap of what we discussed today. As I said on the show the rules we discussed are new so no one knows for sure exactly how they’ll be viewed by the courts, so it’s likely some of these rules will evolve over time. If you’re listening to this show on the radio, or on our podcast when it was released in February 2016, the information is current. But if you’re listening to this podcast many months after February 2016 you should definitely consult a licensed insolvency trustee or a lawyer before making any decisions if you think any of these rules may impact your situation.